In my kindergarten classroom, my students were always making "I wonder ..." statements. I noticed that my grade 5/6 students did not. In an effort to encourage my students to wonder we began "Wonder Wednesdays". I got the idea from Collaboration and Comprehension by Stephanie Harvey and Harvey "Smokey" Daniels (I love this book!). 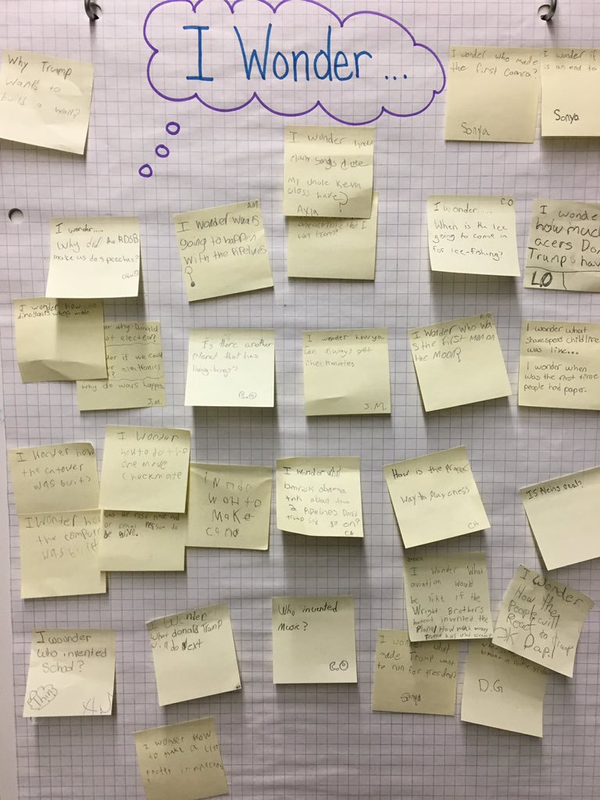 Students are invited to post any inquiry questions, even off-task questions, on a post it note and affix it to our Wonder Wall. On Wednesdays we take 15 - 30 minutes to address our wonder questions. The students are already demanding more time for their wonders. 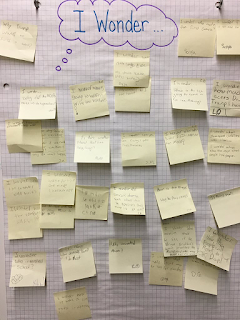 Wonder Walls are a great entry point for those who are not yet comfortable with inquiry.